While observing the so-called “Supermoon”, I observed also fine anti-crepescular ray, whic were rising from the southern horizon. And although there wasn’t actually anything “super” about the Moon now, it was still fun to watch! When the cumulonimbus -cloud that I observed earlier this day was already dissipating, I spotted nice crepescular rays in the western sky. 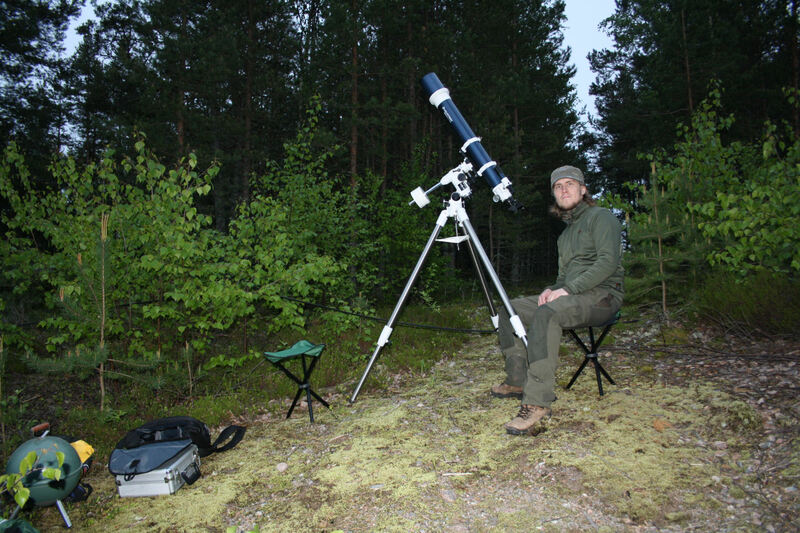 Altitude of the Sun during the time of the observation was about 1°. Nacreous clouds of type I were observed during many days around mid-winter all over Finland. I was also once able to observe this phenomena! 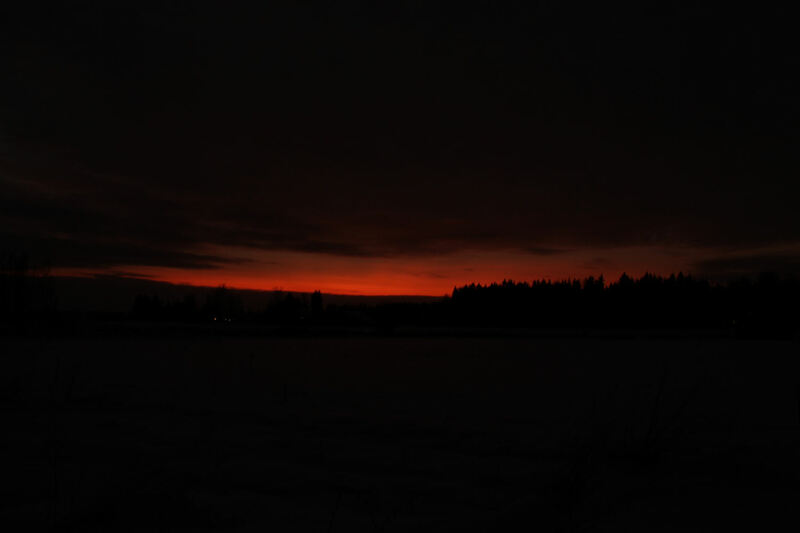 It happened in the evening of the Christmas eve in Ulvila, Finland. There was a gap in the otherwise continuous layer of low clouds, and the nacreus clouds were visible from this gap! The nacreous clouds were coloured orange by the setting Sun. I also observed some crepescular rays on the smooth veil of the nacreous clouds. Nacreous clouds of type I coloured orange by the setting Sun and some crepescular rays.